Setting new global benchmarks in durability, versatility, reliability and longevity, Waterco’s Micron Commercial Fibreglass Filters are the preferred choice for industrial operations that demand superior water quality. 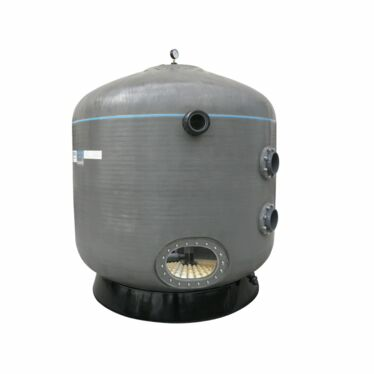 Rapidly replacing standard steel tanks due to their lightweight, maintenance-free construction, the revolutionary range is available in top mount, side mount and horizontal configurations. Manufactured from the highest grade of non-corrosive materials, fibreglass vessels do not rust or deteriorate and are able to withstand damage from a wide range of water treatment chemicals. They are also ideal for seawater applications. 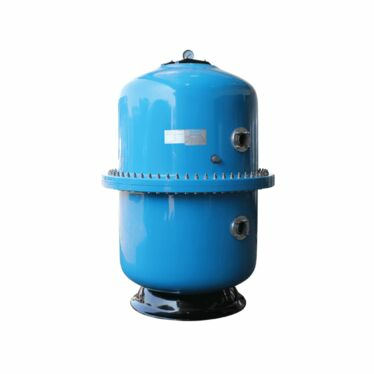 Weighing two-thirds less than its steel counterpart – making it easier to ship and install – with a material that is resistant to both mechanical and chemical influences, Waterco’s Micron fibreglass filters are adapted to a wide range of applications including large commercial swimming pools, aquatic parks, hotel/resort pools, aquaculture, cooling towers, drinking water systems, food/beverage processing, industrial processes, water features, zoos, and aquariums. Superior durability: Fibreglass vessels have a mechanical and chemical resistance superior to steel, plus fibreglass does not rust or corrode and is able to withstand damage from many types of water treatment chemicals. Additionally, they do not leave unsightly stains. 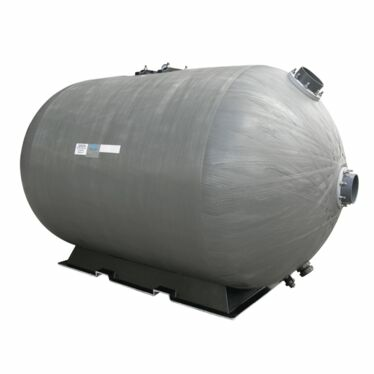 More lightweight: Fibreglass tanks weigh only one third that of steel vessels, whilst maintaining the same level of strength. This makes them easy to ship and install. Easy to maintain: Once installed they are virtually free of maintenance or repairs. This compares with steel vessels, which require the anti-corrosive coating to be maintained periodically, with certified welders required to make repairs to the lining with epoxy coating. 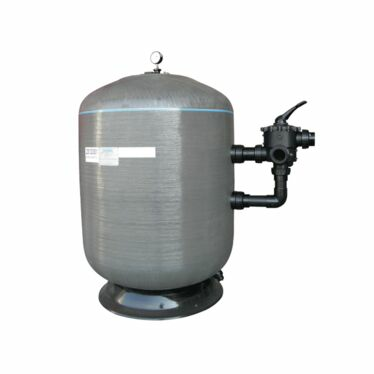 Withstand high pressure: Means they are an ideal solution for a wide range of applications including water treatment and commercial swimming pool facilities. Waterco’s Micron Commercial Fibreglass Filters are made from continuous strands of high quality fibreglass filament wound under controlled tension to create a seamless, impervious vessel. 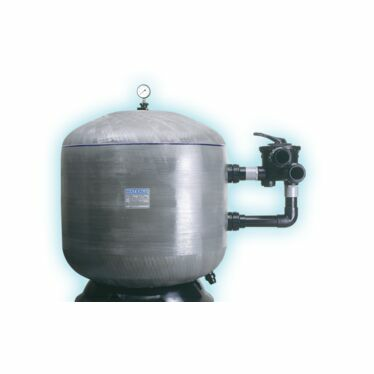 This produces a filter that is free from welds or seams, or special tank linings that typically corrode or electrolyse. Waterco’s revolutionary winding technology further strengthens the fibreglass structure so it can withstand a working pressure of up to 800kPa (116psi). In addition, Waterco’s advanced manufacturing capabilities have enabled it to incorporate sight glasses and large manholes into its high-pressure fibreglass filters. Conventional laterals are unsuitable for larger sized commercial filters as the “dead legs” that exist between each one restricts water flow through the filter bed. To eliminate this common problem, Waterco’s patented “Fish Bone” lateral configuration drastically improves water flow distribution through the filter bed. Why choose fibreglass over steel? 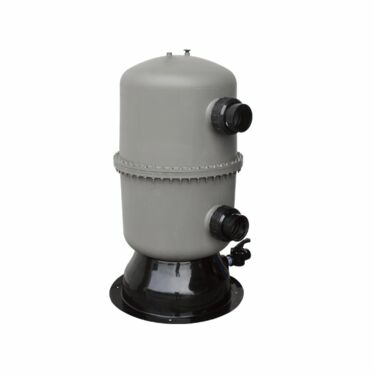 Waterco’s Micron fibreglass filters are rapidly replacing standard steel tanks due to their lightweight, maintenance-free construction. In addition to its seamless, one-piece composition, fibreglass vessels also posses mechanical and chemical resistance that is far superior to traditional steel. 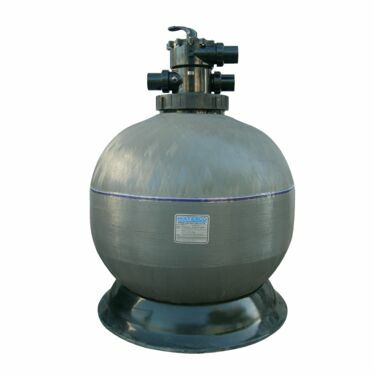 In fact, fibreglass tanks do not rust or corrode and are able to withstand damage from many types of water treatment chemicals. And, unlike steel vessels, they don’t need certified welders to regularly apply an anti-corrosive coating. Each fibreglass vessel weighs two-thirds less than its steel counterpart, making it easier to ship to the job and straightforward to install.